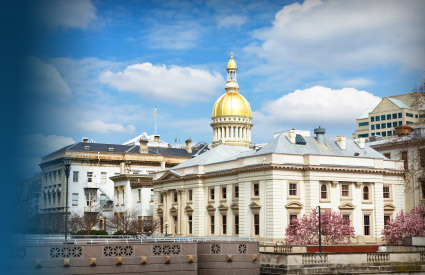 New Jersey meeting and event planning destinations are remarkably diverse and have proximity to several Northeast cities like New York, Philadelphia, and Wilmington, DE. Among the best-known spots is historic Atlantic City, a relatively small city still attracts over 30 million visitors a year. Elsewhere, many New Jersey meeting and event planning destinations are surprisingly rural, like Sussex County; and ultra-posh shopping meccas, like Cherry and Short Hills. Atlantic City, the principal gaming center of the Northeast, features a famous boardwalk; meeting and event planning venues there include House of Blues and Boardwalk Hall. An affordable alternative to Manhattan’s meeting and event planning venues lies just over the water in Jersey City. However, those craving the city life are just moments from Lower NYC by PATH train and Jersey Transit. Golf courses, stately homes and corporate campuses all play a part in Bergen County meeting and event planning. Don’t forget to add Manhattan—a short drive across the George Washington Bridge. When meeting and event planning in Bridgewater, groups can spend time in a beautiful and historic exurb of New York City, before the irresistible lure of the Big Apple. Cherry Hill, a New Jersey city, is essentially a suburb of Philadelphia; meeting and event planning includes Woodcrest Country Club and Garden State Discovery Center. Meeting and event planning in Edison includes one of the significant venues in the U.S.: the laboratory of Thomas Alva Edison, now a museum, along with historic mansions and golf courses. As New Jersey’s fourth largest city, Elizabeth is home to modern venues, authentic food, and historical sites unlike anywhere else. Plan your event here to experience it yourself. When planning meetings and events in Hackensack, take stock of nearby area, which include several hotels, Giants Stadium and the Meadowlands. Looking for a well-rounded resort experience close to New York City? In Hamburg, meeting and planning events can include a host of group activities, from rafting and skiing to antique browsing and country fairs. Meeting and event planning in Morristown is easy and charming, thanks to significant American history and some nurturing by big business. Nearby venues include a Westin, a Hyatt and more. Meeting and event planning in New Brunswick comes naturally for collegiate and science meetings, but corporate groups will also enjoy the city’s suburban appeal. A gateway to New York City, Newark is an ideal location for planning meetings and events, and local attractions include art galleries and fine dining. Crunch some numbers – three interstates, 350 golf courses within 30 miles, 25 miles from NYC – and Parsippany event and meeting planning benefits become very clear. If you’re planning meetings and events in Princeton, look to take advantage of the phenomenal number of speakers available not only at the university, but at nearby Fortune 500 companies.